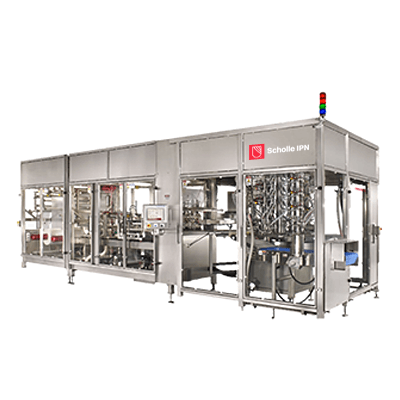 This form-seal-fill bag-in-box filler brings cost savings on P&L lines, increasing innovation and sustainability. With the Flextainer form-seal-fill bag-in-box filler, we bring you cost saving on your P&L lines and extra benefits on innovation, sustainability and with strong partnership. In-house on site in-line production and filling of bag-in-box. Gentle filling process, hence less dissolved oxygen in bag and thus longer shelf-life. Line consists of bag-maker, taps inserter, rotary filler, carton erector, handle applying machine. Less volume of packing materials in transport and storage pre-filling (roll-stock film, taps and spouts, handles). Rent your production line: Just in time packing. Lower total cost than pre-made bags. Manufacture your own bags from revolutionary film solution +dedicated taps and fitment + handles. Deliveries from a sole production site.